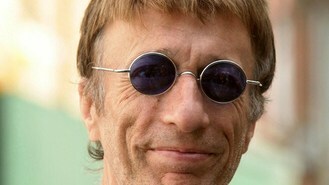 Bee Gees singer Robin Gibb has died following a lengthy battle with cancer. In a statement, Gibb's family said they were announcing his death with "great sadness". Gibb, who had undergone intestinal surgery, notched up dozens of hits with brothers Maurice and Barry - as performers and writers - and sold more than 200 million records. The statement said: "The family of Robin Gibb, of the Bee Gees, announce with great sadness that Robin passed away today following his long battle with cancer and intestinal surgery. The family have asked that their privacy is respected at this very difficult time." The Bee Gees' song catalogue, which includes Massachusetts, I've Gotta Get A Message To You, Lonely Days, How Can You Mend A Broken Heart, How Deep Is Your Love and Stayin' Alive, led to their induction into both the Rock and Roll Hall of Fame and the Songwriters Hall of Fame. Gibb's twin brother Maurice died of a heart attack in 2003 following intestinal surgery. The star fell into a coma last month after contracting pneumonia but his family later said he had "beaten the odds" just days after doctors said he "was in God's hands". At the time, his son Robin-John Gibb said his father was "completely compos mentis". Doctors said they were "confounded" by the 62-year-old Gibb's progress after he was given a 10% chance of survival. His family maintained a bedside vigil while he was been treated at a central London hospital. Gibb's relatives sang to him and wife Dwina said that he had cried when she played him the song Crying by Roy Orbison. Gibb had surgery on his bowel 18 months ago for an unrelated condition but a tumour was discovered and he was diagnosed with cancer of the colon and subsequently of the liver. Katy Perry took her grandmother as a date to the Billboard Music Awards. Robbie Williams is apparently set to join the X Factor panel during this year's auditions. Rihanna apparently partied so hard in London that she missed her flight the next morning. Florence + the Machine have been announced as the latest headliner for Bestival. Donna Summer classics have re-entered the charts after fans flocked to buy the disco star's records following her death. Party-goers were treated to a rare performance when Rolling Stones legend Ronnie Wood joined pop star Cyndi Lauper on stage for an impromptu duet. Swedish favourites Abba have become the third act to sell five million copies of an album in the UK.